Glue stick applies disappearing color smoothly and easily. Glue goes on purple and then dries clear. 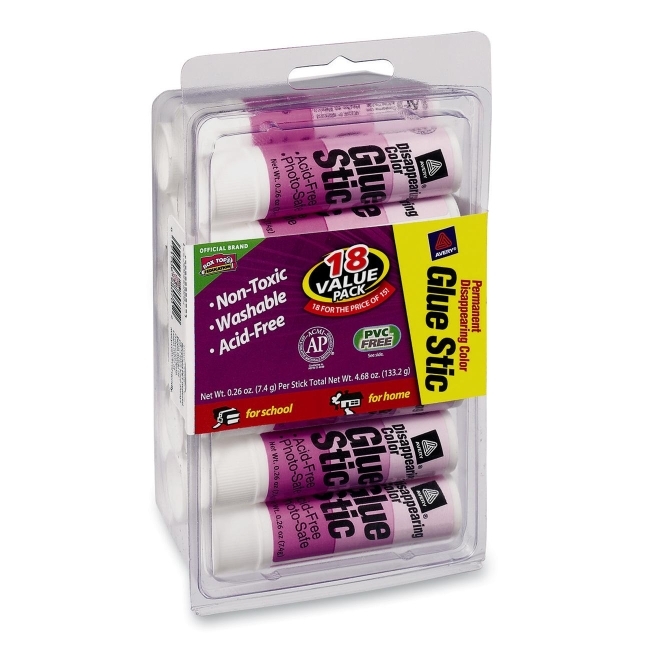 Glue is designed for use on paper, cardboard, photos and fabric. The photo-safe formula is acid-free and won't harm precious materials. The adhesive easily washes out of clothing. Large caps won't pose a choke hazard so glue stick is safe for young children. ACMI certified to meet federal standards of nontoxicity. Packaging is made of PVC-free plastic.